Bali, Phuket or Shanghai for your next trip? Try Perak instead. 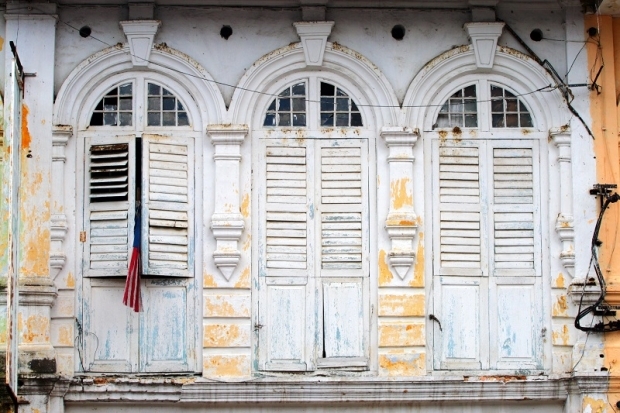 That’s right, Ipoh has made it to Lonely Planet’s top 10 destinations in Asia. Ipoh's old world charm and booming hipster cafes has impressed the largest travel guide book publisher in the world, Lonely Planet, after the city was listed as one of the best Asian destinations to visit in 2016. The world’s leading travel media company today announced its inaugural Best in Asia list that highlights the continent’s 10 best destinations to visit over the next 12 months. 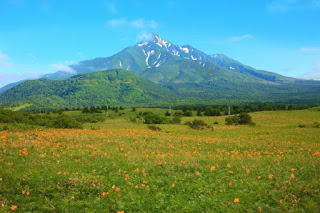 In their pick of where to go in the next 12 months, Lonely Planet listed Hokkaido, Japan at first place, followed by Shanghai, China and Jeonju, South Korea. 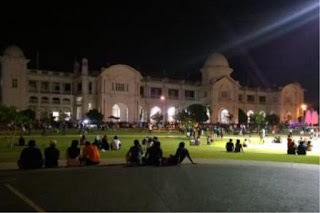 Ipoh is the only city in Malaysia to be listed, at sixth place. According to the website, the lesser-known food capital has new flair thanks to a crop of boutique cafes that have sprung up in its historic quarter. 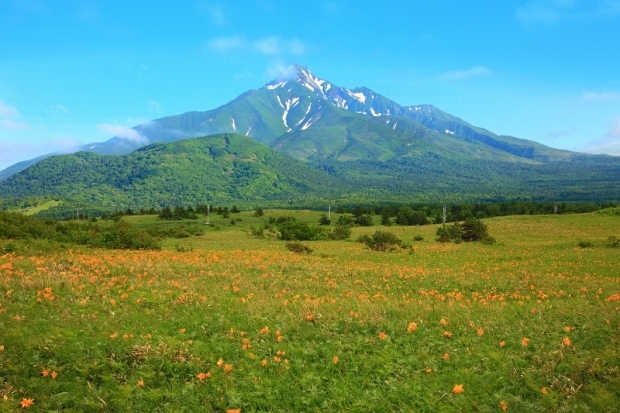 Mount Rishiri’s steep volcanic ridges tower over a field of wildflowers off the coast of Hokkaido, Japan. "At the heart of Ipoh’s renaissance is other worldly concept hotel Sekeping Kong Heng, replete with glass attic rooms and wall-free rooftop quarters. 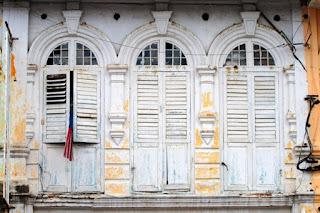 "Art-cafes like Roquette, Burps & Giggles and Everyday Lifeshop have appeared nearby, among creaky kedai kopi (coffee shops) and elegant colonial buildings. 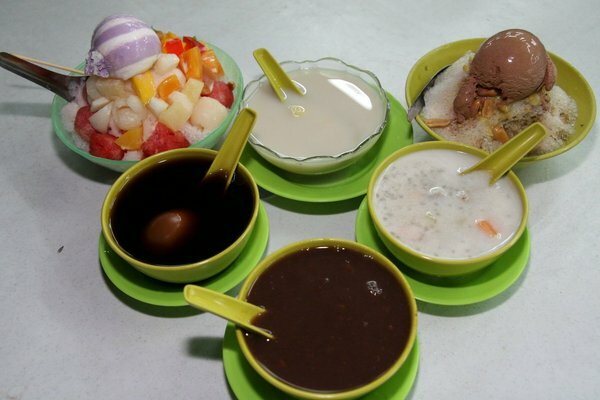 "But food pilgrims still clamour for Ipoh’s old favourites: Lou Wong’s chicken with crisp beansprouts, and tau fu fah (tofu pudding) at Funny Mountain," said the website's description. It also mentioned wild escapes, like birdwatching by bicycle through Kinta Nature Park or whitewater rafting near Gopeng are a must visit for tourists. 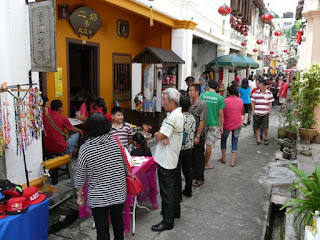 "Also, clifftop temples and fragrant Gaharu Tea Valley nearby, Ipoh’s revival seems sure to tempt new crowds," concluded Lonely Planet. 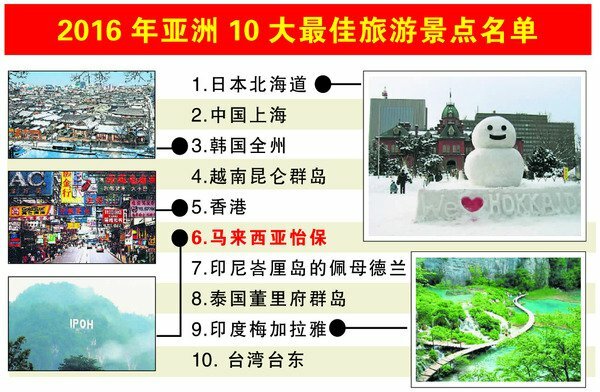 "In compiling our Best in Asia 2016 list, our Asia-expert authors have explored the continent’s most electrifying cities, trekked through steaming jungles and even swum in bountiful seas to seek out the spots you simply cannot afford to miss,” said Lonely Planet Asia-Pacific spokesperson Chris Zeiher. “The result is a varied hit list of classic destinations offering a fresh twist for travellers, regions packed full of action, and edge-of-the-map places you may never have heard of,” he added. In fourth place is the Con Dao Islands in Vietnam, followed by Hong Kong. Pemuteran in Indonesia was listed as the seventh top destination with Thailand’s Trang Islands, India’s Meghalaya, and Taiwan’s Taitung finishing off the list. 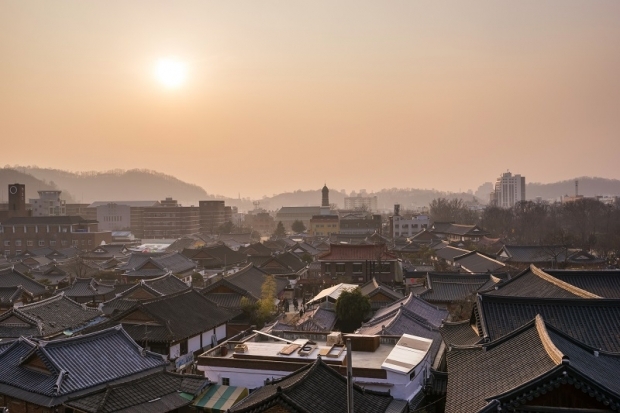 While the rest of city has been industrialised, Jeonju Hanok Village retains its historical charms and traditions.